HP Hardware Support Service with Computrace by Absolute Software provides computer theft recovery, data protection, and secure IT asset management for all of your mobile devices. You have the flexibility to choose between different service features and service-level options to address your specific needs: HP Hardware Support Onsite Service: This service feature provides high-quality remote assistance and onsite support for your covered hardware, helping you to improve product uptime. HP Hardware Support Offsite Pick Up and Return Service: This service feature offers high-quality return-to-HP service levels with remote telephone support and offsite repair for eligible products at an HP designated repair center. The service includes offsite repair or replacement, materials and parts, labor, and the cost of the return shipment. Accidental Damage Protection: With this optional service feature, you will receive protection against accidental damage to the covered hardware product. Accidental damage is defined as physical damage to a product caused by or resulting from a fortuitous incident. Disk Retention (Defective Media Retention): This service feature option allows you to retain defective hard disk drive components that you do not want to relinquish due to sensitive data contained within the disk covered under this service. 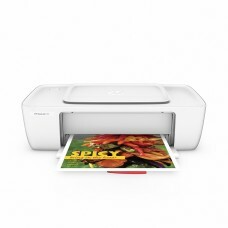 Product OverviewHP Deskjet 1112 color printer is simple to set up and can print any document really ..